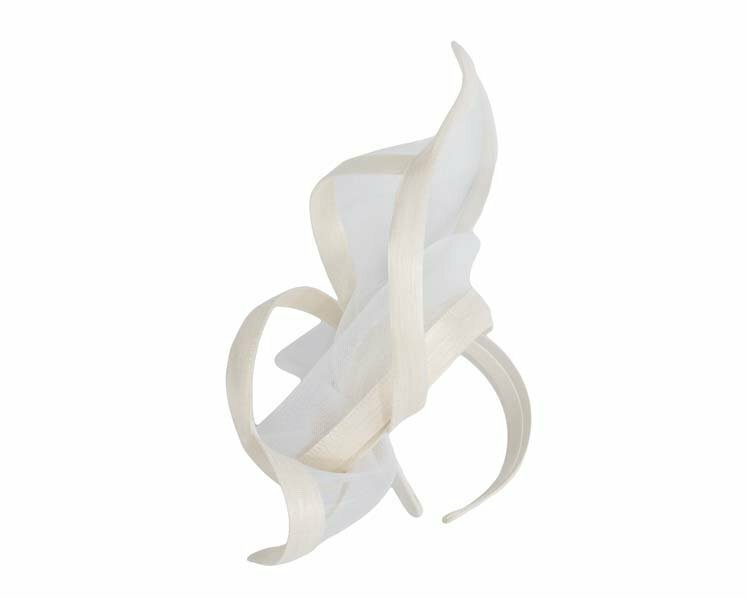 This gorgeous large twisted cream fascinator is an ideal complement for any outfit. 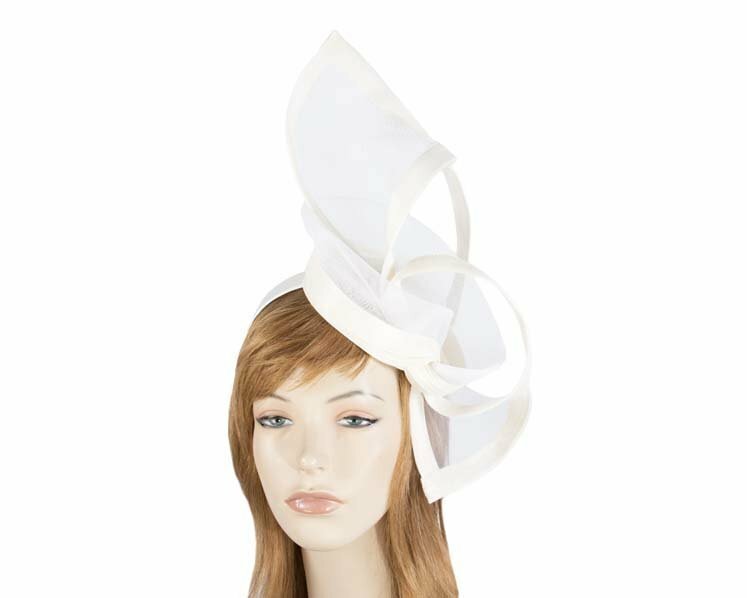 Wear it at Melbourne Cup, Ascot, Kentucky Derby or any other special occasion and it is guaranteed to turn heads! 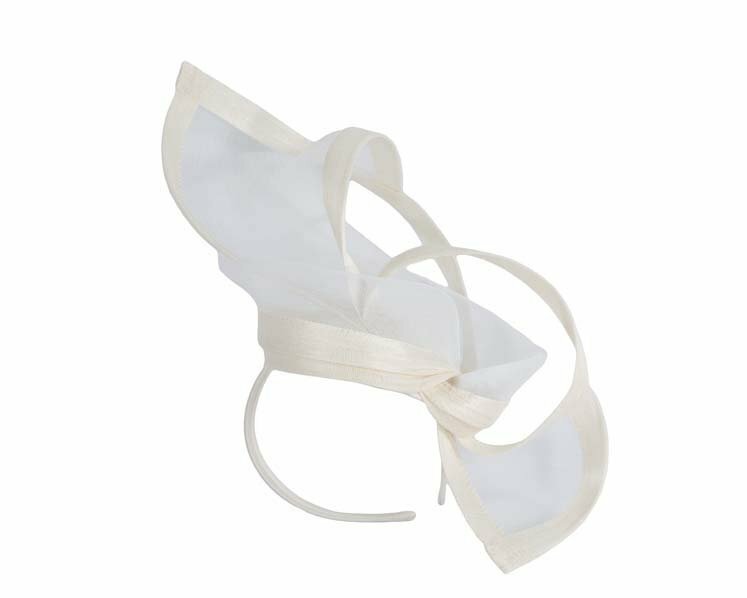 Hand made in Melbourne from luxurious french cloth fabric and crinoline, this hat has a band firmly hold it in place.